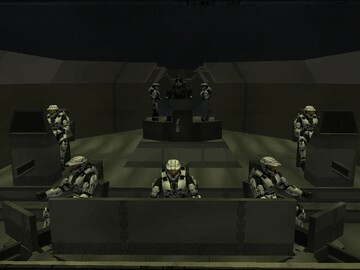 Description: First part of Operation: LACEDAEMON, a single player mission. This story takes place in alternative timeline. Super Spartans are AIs in MJOLNIR armors. Humanity spent great amount of resources to create army of "SS" to gain superiority over Covenant on battlefield. They are strong and almost invincible warriors. This program was huge success, Reach didn't fall thanks to SS. Unfortunately Covenant managed to capture some of them and transported them to their technology research and development planet. You are more refined soldier, member of Super Spartan SpecOps "3SO". It is group of 300 extremely well trained Super Spartans. And you are the best of that group, L42-Alpha. The 24 best 3SO was given special names according to their skill levels, from Alpha to Omega. Each team of 3SO contain one Leader, two Regulars and one Sniper. Your are leader of Team Alpha and your comrades are R78-Xi, R101-Omicron and S257-Sigma. UNSC sent 13 3SO teams (including Teams Alpha, Beta, Gamma, Delta and Epsilon) to recover those captures SS soldiers and steal any available Covenant technology from their planet at the same time. SS Commander transports Team Alpha to the surface with Stealth Prowler, other teams follow with Longswords. Each specially named 3SO team has an armor ablity. Yours is Invisibility. Activate it with your flashlight. Objectives are told ingame. When in doubt, check pause menu and if there are any active nav points. Game takes place mostly in rethemed a30 bsp. Normal Halo weapons are availabe, but there are some custom weapons too. Word of advice, use Killer. 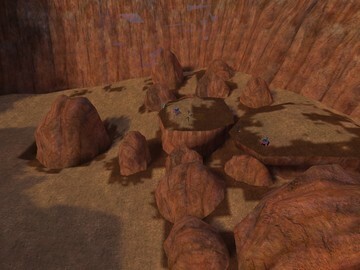 This is SP map, so you need to go to the console and type "map_name lac_chapter1" without "-marks to play. You have finished the map when game says that you don't have map named "lac_chapter2".